I’m a latte girl. Now, I don’t sugar my coffee, and I can tell when a roast is burnt or simply crappy, but I’m so far outside of the coffee intelligentsia that I’m often intimidated by some of Portland’s “best” coffeehouses. You know the ones – the coffee bars serving up five different single-origin micro-roasts with the über-hip baristas offering six new ways to brew a cup - many of which use equipment you're more likely to find in my sister’s biochemical engineering lab at OHSU than in a neighborhood cafe. I may not be a true coffee connoisseur yet, but I drink a lot of coffee, and spend a lot of time in coffee shops. When you work from home and can go days without seeing a single person you don’t live with, the coffee shop visit becomes a much-needed social opportunity. I’m normally all for jumping into new flavors and experiences, and I love learning about and supporting local artisans of all stripes, but some of Portland’s noteworthy micro-roast spots fail to do the thing I think coffee shops, cafes, and restaurants can do best: create community. 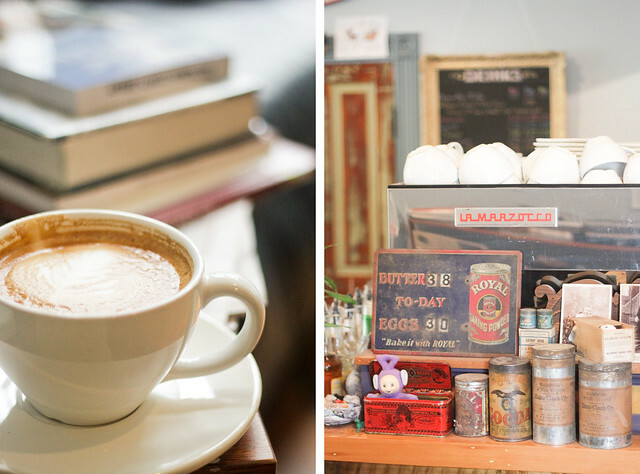 Most of my favorite neighborhood coffee shops serve up Stumptown, Ristretto, Portland Roasting, or even imported roasts, providing good food and comfy couches instead of focusing on perfecting their own signature beans. These spots are the kind of cozy rooms you want to spend time in, places to meet your neighbors and friends, a feeling I just don’t get from those ultra-modern roaster meccas. The obvious problem is that many of the latter admittedly often serve up a better latte. I know the only way to develop my palate is try try a bunch of really good cups, but if that means spending more of my time in places that don't make me feel comfortable, it's just not going to happen. 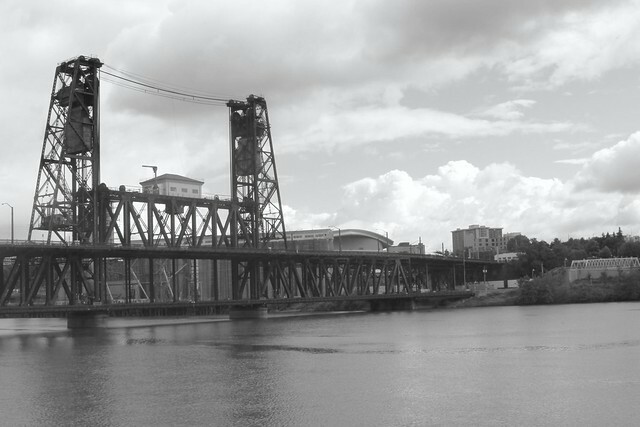 Dispatches from around the Northwest reveal a serious epidemic plaguing the cities of Portland, Seattle, and everywhere in between. Symptoms include whining about the mud in the streets, tiring of biking through drizzle, dreaming of booking last minute flights to the Southern Hemisphere, and writing two mopey blog posts in a row about the winter blues. 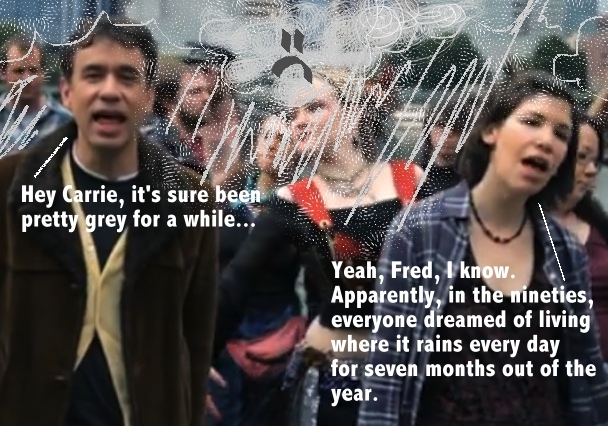 While the show "Portlandia" is taking off as a humorous look at the unique quality of life in the Rose City, the real Portlandia is elbow-deep in grey days, drizzle, and muddy yards - and its making me want to hibernate for a few months. I like to imagine people in California, Texas, and Florida sitting down to watch the premier on IFC, and all of a sudden the broadcast splits into a double screen - one half showing "Portlandia" and the other half a live-cam feed of people moping in coffee shops and getting splashed by muddy water from buses driving by. Put a bird on THAT and call it art, Carrie Brownstein. Things always slow down here on LemonBasil in the winter. That used to be due to most of the Portland farmers' markets being on hiatus until the spring, and the plethora of rather unphotogenic brown and greenish-brown things I eat during the colder months. While those things certainly still hold true, the biggest reason I haven't been posting much is that, I'm realizing, much of my photography relies on sunshine. This week I was compiling some of my favorite shots of Portland, her food and drink scene, places I've traveled, and the expressions people I've captured for my new photography website (check it out, let me know what you think!). At the risk of stating the obvious, the vast majority of my top picks were chosen because they show my life at its sunniest - literally. There's just something missing - dynamically - on a cloudy day, and it shows in my photography. So often I'm drawn to colors and strong lines in the shots that I make, and blue skies and dramatic clouds are consistently great sources of both.